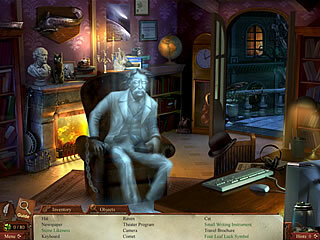 This dark and mysterious game is one of the latest releases in hidden object/dventure genre. You are going to be taken all the way through the history fixing some issues. The game have many bright features as well as some flaws. So depending on your taste, you are going to either love or hate it. This is one of those cases when you have to play it to find out if you want this one or not. Well this game put you in a place of somebody who is to cooperate with Mark Twain helping him fix some of the events in history. The game does have this story that takes new turns and twists. As you might have guessed by now, there are lots of unrealistic things, like time travelling and teleporting. In other words you are going to be cleaning Mark Twain's mess up. And you are going to do that by playing a number of hidden object levels and also doing a lot of searching and interacting with different items. All that is wrapped up into two modes. Once you coplete the story mode, you can play the unlimited hidden object mode. There are also all kinds of mini-games, the bigger part of which fits into the story of the game. You can also collect ravens for hints and clovers for the unlimited HO mode along the way. The hidden object scenes are nicely drawn, and you will be rewarded for compliting the hidden object searching without using a single hint. One of the annoying details was too many dialogues or other windows that you have to click through or click to close. That was noticable and bugging. Another thing that maybe only the experienced players will notice is that the inventory items were to be used right away, which makes the challenge level go down. This is Midnight Mysteries: Devil on the Mississippi in a nutshell. The game is so much better than so many others of this genre, but it may still be not good enough for some. Disagree with the game review or have anything else to say about the game? 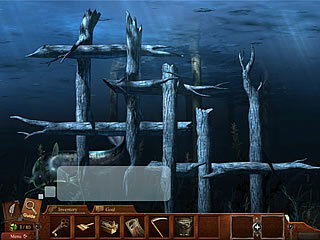 This is Midnight Mysteries: Devil on the Mississippi CE for Mac review. Download this game here.